Great pattern of lines and color! I saw him speak last year and he really was full of life, enthusiastic and down to earth. I saw Andre Leon Talley the following week and he was so boring and jaded in comparison. Just a name dropper who got lucky, I came away thinking. This drawing of the shoe represents him well. 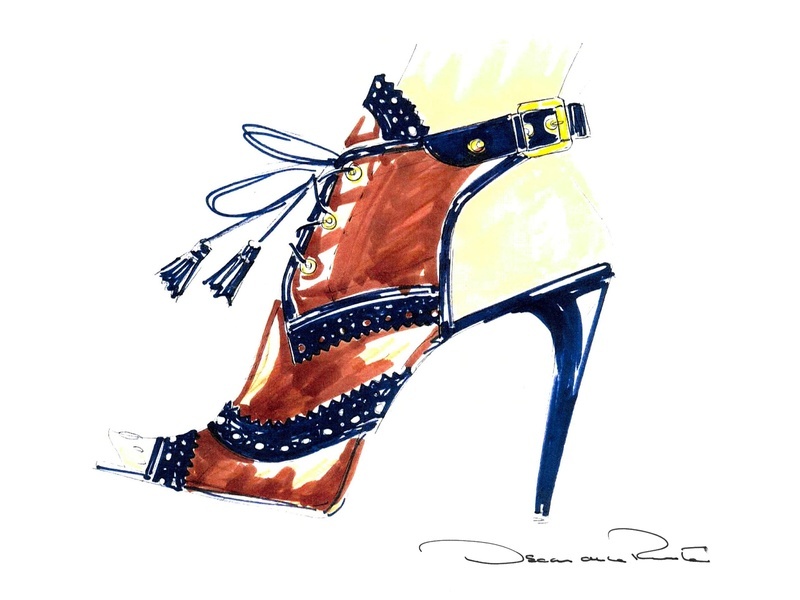 You are currently reading Oscar de la Renta | 1932 – 2014 at Women's Footwear in America.